Today, ThreatSTOP is announcing its entrance as the first artificial-intelligence infused blockchain security company using decentralized intelligence and telemetry to provide proactive and real-time defense against emerging cybersecurity threats. By swapping out the paradigm of legacy threat intelligence platforms in favor of decentralized blockchains, we have created a rapid, robust, and flexible system to protect enterprises and small-to-medium businesses. With our cloud-based blockchain protection, we’re delivering disruption-as-a-service to our customers. ThreatSTOP pioneered the market in blockchain technology by TCP/IP networks building on the original iptables blockchain protocol. Created in 1998, iptables silently brought blockchains to the networking stack. Today, we’re taking it to the next level by introducing our DNS blockchain solution that will disrupt adversaries and the security industry alike. ThreatSTOP’s patent-pending blockchain technology works by taking decentralized nodes of intelligence and operationalizing them in existing devices. “By infusing existing hardware with our blockchain technology using DNS, we reduce the hardware footprint and maximize the power of already existing tooling, and future-proof the solution, to deliver maximum return on cybersecurity investment. I’m so proud of what ThreatSTOP is doing with my creation,” said Paul Mockapetris, Chief Scientist at ThreatSTOP, and the inventor of the DNS. Pairing this engine with DNS will block identified malicious or suspicious traffic based on network indicators such as IP address, hostnames, or other DNS metadata. “Its been said that all startups are really a series of pivots, and we’ve certainly had our share of those. 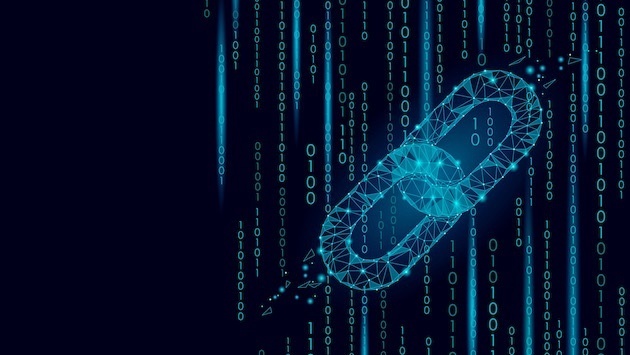 ThreatSTOP’s new pivot to artificial-intelligence-driven blockchain technology delivered over DNS marks the next evolutionary step in cybersecurity enabling us to stay ahead of the attackers and to provide robust prevention on blocking of threats before they occur,” said Byrnes. According to anonymous sources within the venture capital community, the response was ecstatic. “No one really knows what the blockchain is, but it’s provocative! It’s gets the people going! They’re also really excited about anything to do with AI. Everyone knows that DNS is everywhere. Combining all three is a complete game-changer.” At the time of this release, ThreatSTOP was researching if it is possible to convert a transition to publicly-traded company via ICO instead of the legacy IPO of years past. Ready to challenge your legacy and traditional security program? Check out artificial-intelligence powered blockchain technology over DNS at ThreatSTOP and check out a free, 14-day trial here.